VON ORMY– Three new businesses opened in early October in Von Ormy, Pilot Travel Center, Subway and Borrego’s Café. 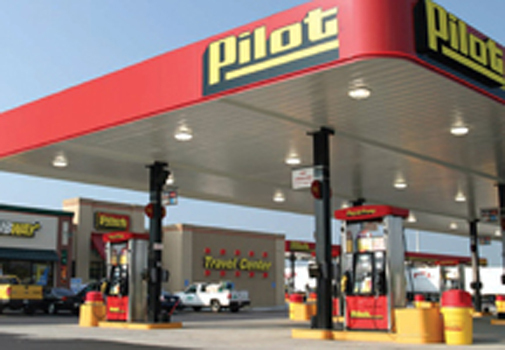 The new Pilot Travel Center in Von Ormy features full amenities for area residents and the motoring public while adding 55 local jobs and other economic benefits to the community. • general merchandise for quick shopping needs. The new facility is Pilot Flying J's 37th in Texas and the 650th overall in North America. It is expected to contribute more than $3 million annually in state and local tax revenue. “We invite Von Ormy residents to visit our new location. Our staff takes great pride in providing the quality service our guests deserve,” said T.C. Wilson, general manager for the Von Ormy travel center. Joseph Borrego opened Borrego’s Café at the former site of AJ’s, next to Sacred Heart Church.